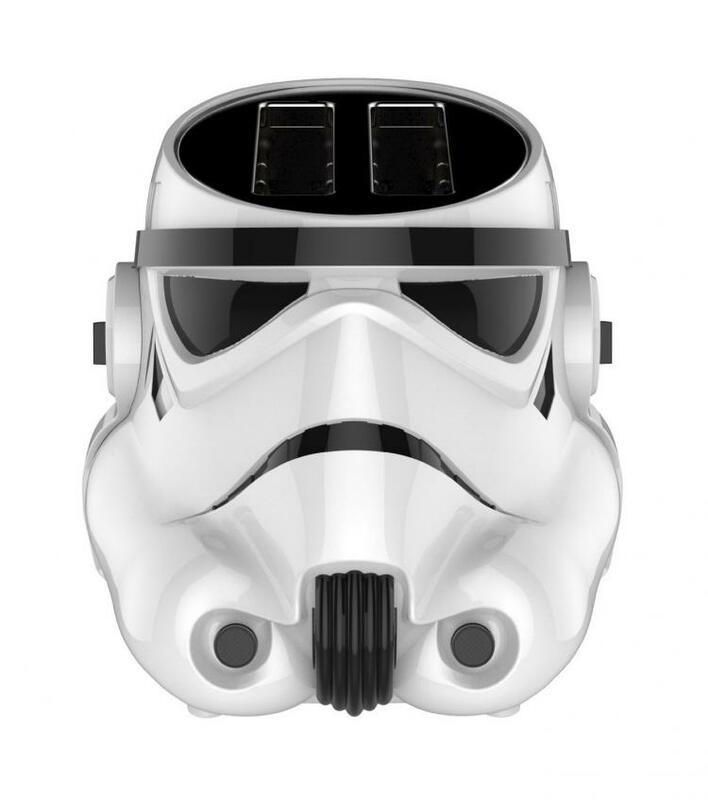 You've seen the Darth Vader toaster that toasts the Star Wars logo onto your bread, now get your toaster a minion with this Stormtrooper toaster. 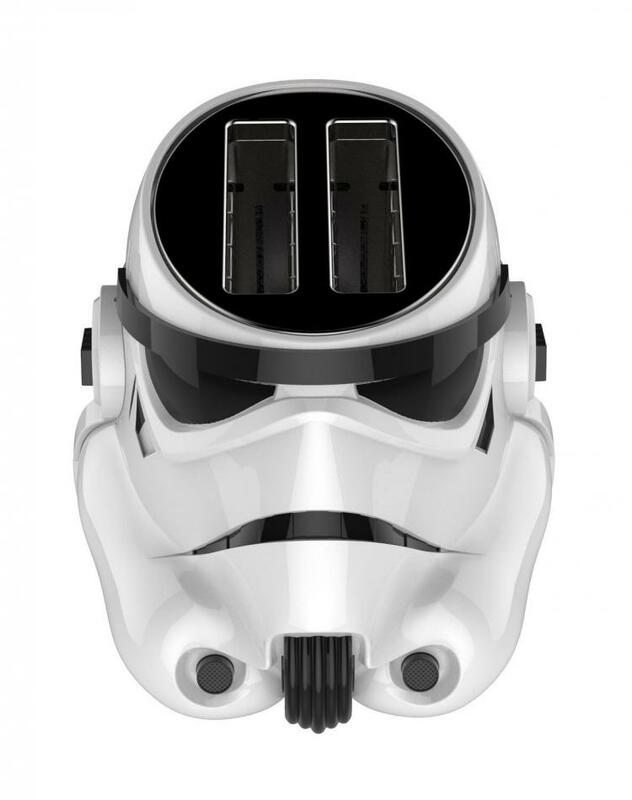 On each slice of bread that it toasts it will toast the Galactic Empire Logo onto each side. 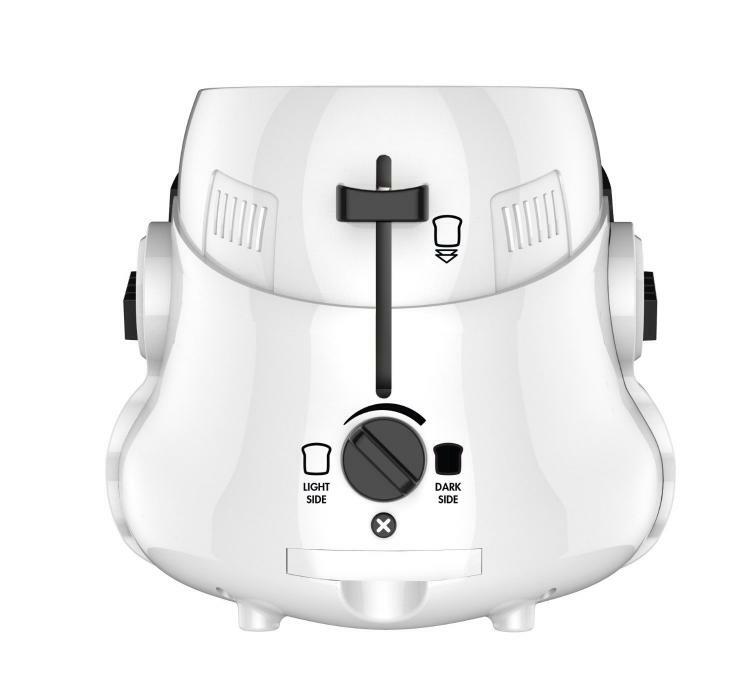 A perfect gift idea for any Star Wars lover, the Stormtrooper toaster will go perfectly next to your Death Star waffle iron. 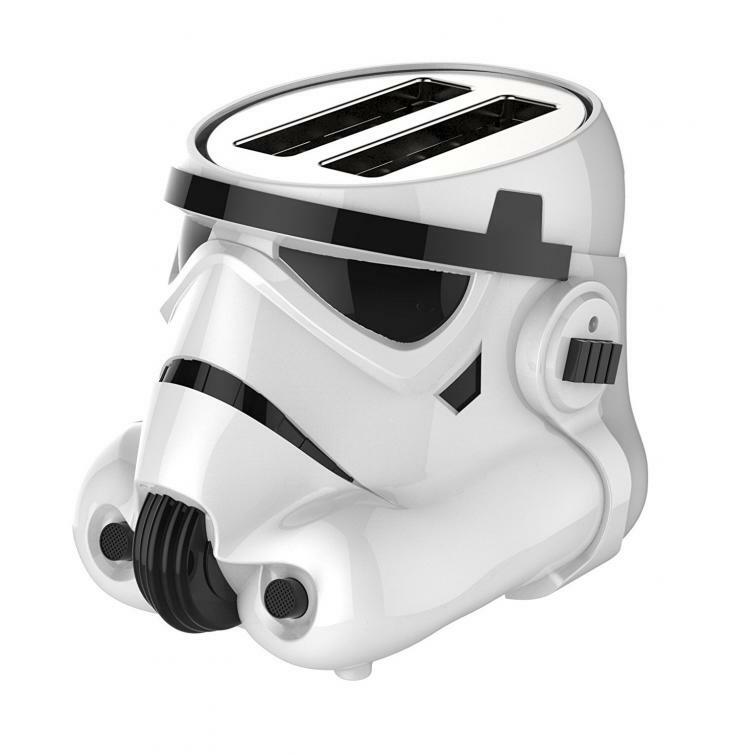 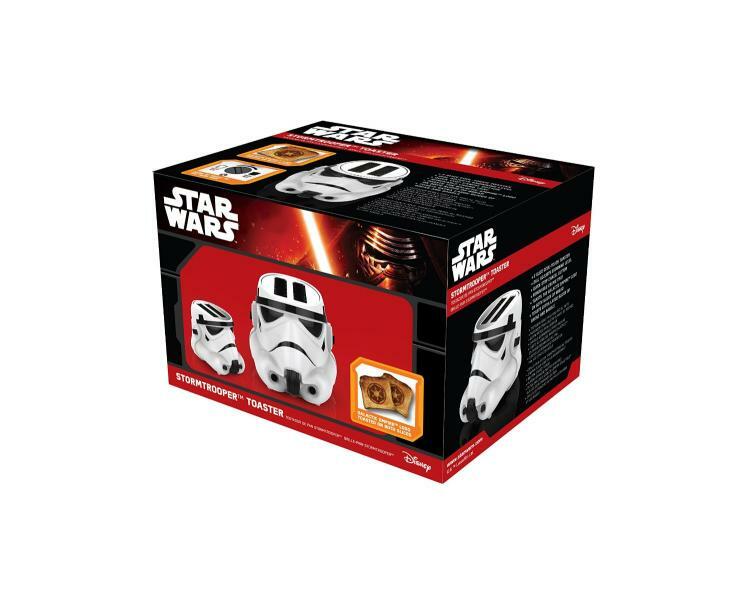 Officially licensed from Star Wars, the Stormtrooper toaster is bright white in color, is extra wide and long to accommodate all shapes and sizes for whatever you're looking to toast, is able to toast 2 slices of bread at a time, and has a removable tray on the bottom for cleaning up your galactic crumbs. 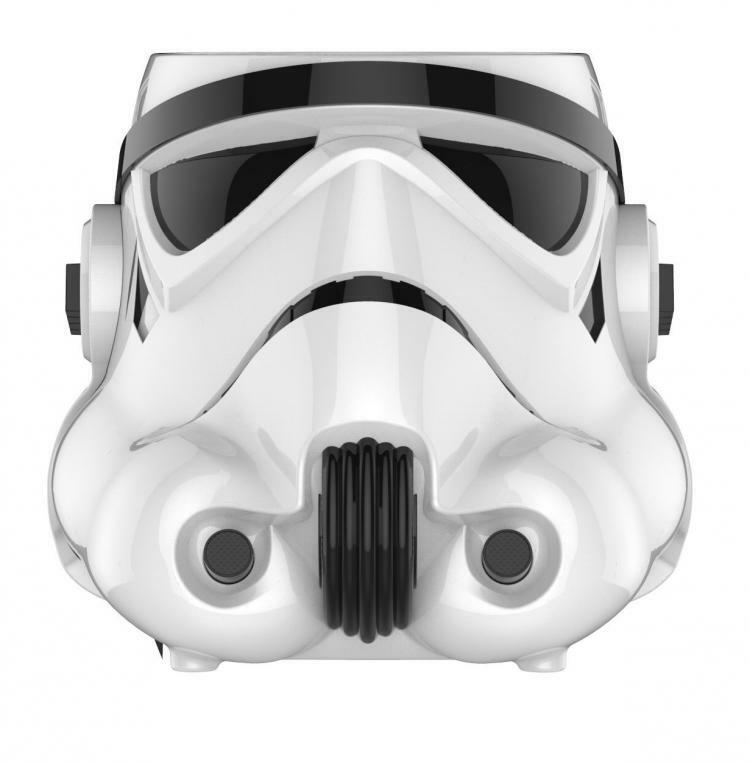 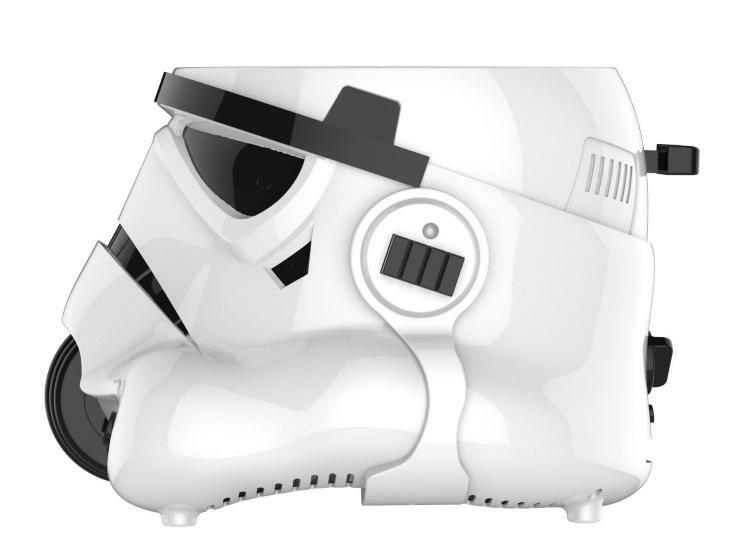 The Stormtrooper toaster is made with a cool-touch housing to prevent burns, has a reheat, defrost, and quick-stop function, has a 110-120V 60Hz 850W power supply, weighs 4.1 lbs, and measures 12 inches x 10 inches x 7.95 inches.